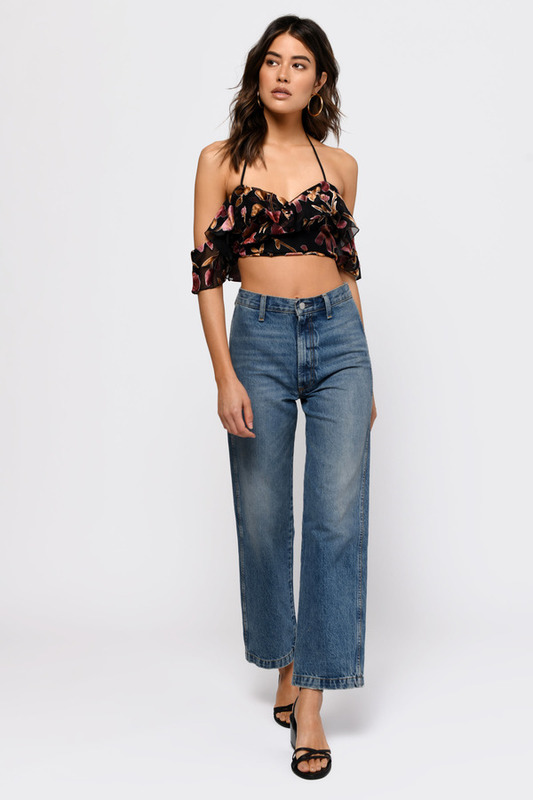 Check out Tobi's You're All That Matters Velvet Ruffle Crop Top Introducing a flirty crop top to take you through the seasons. Get your hands on the You're All That Matters Black Velvet Ruffle Crop Top, featuring a halter neckline, cold shoulder construction, and velvet floral print with gorgeous ruffles. The perfect summer to fall transition piece, pair this ruffled open shoulder crop top with high waisted culottes and mules. Introducing a flirty crop top to take you through the seasons. 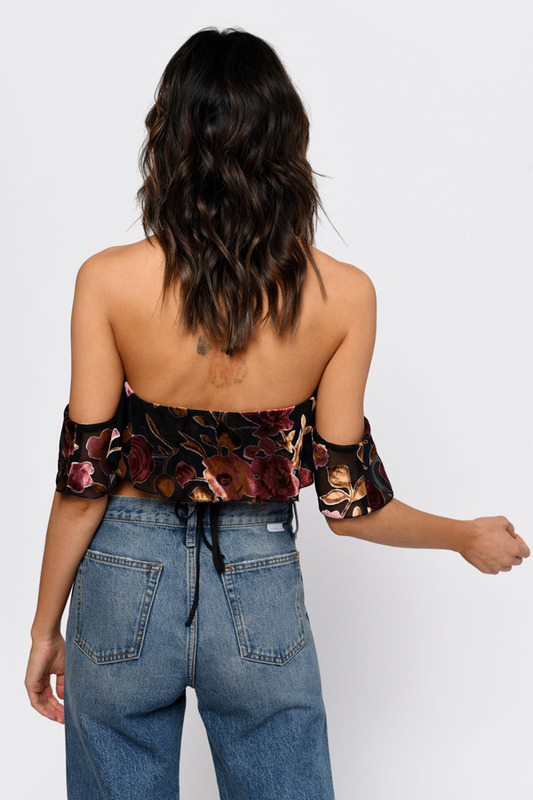 Get your hands on the You're All That Matters Black Velvet Ruffle Crop Top, featuring a halter neckline, cold shoulder construction, and velvet floral print with gorgeous ruffles. The perfect summer to fall transition piece, pair this ruffled open shoulder crop top with high waisted culottes and mules.